Phone 8941 1004 or contact us to book a session time. Lessons typically last between 45 and 90 minutes. COTA NT is able to offer a limited number of iPad training courses each year which are led by a COTA NT Peer Educator. These sessions are completely free and offered in a small group learning environment. The course is run over four mornings (Saturdays) at the COTA NT offices and each session lasts 90 minutes. 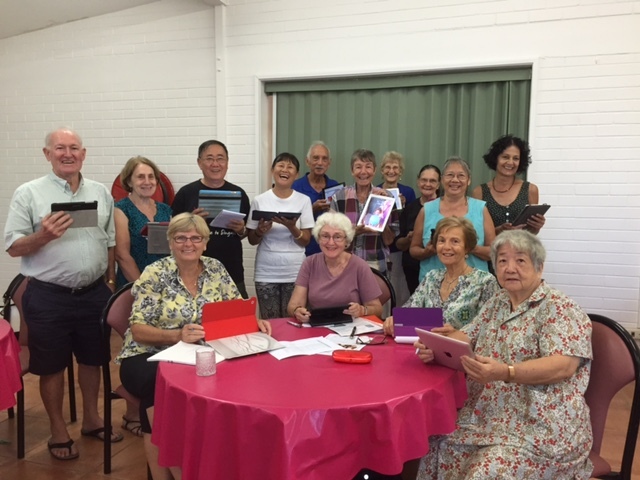 All participants MUST have their own iPads – no other tablets are covered in this course. Phone 88941 1004 or contact us for more information about course dates and/or to register your interest in attending a iPad course. Places are limited to 15 participants.